GUEVARA: Ready for a new revolution ? First podium ever for Juan Fran GUEVARA at Mugello GP ! Juan Fran GUEVARA showed great potential and clinched his first Moto 3 podium ever at Mugello GP in Italy, after an amazing battle leading him from the 20th place to the podium within just a few laps. 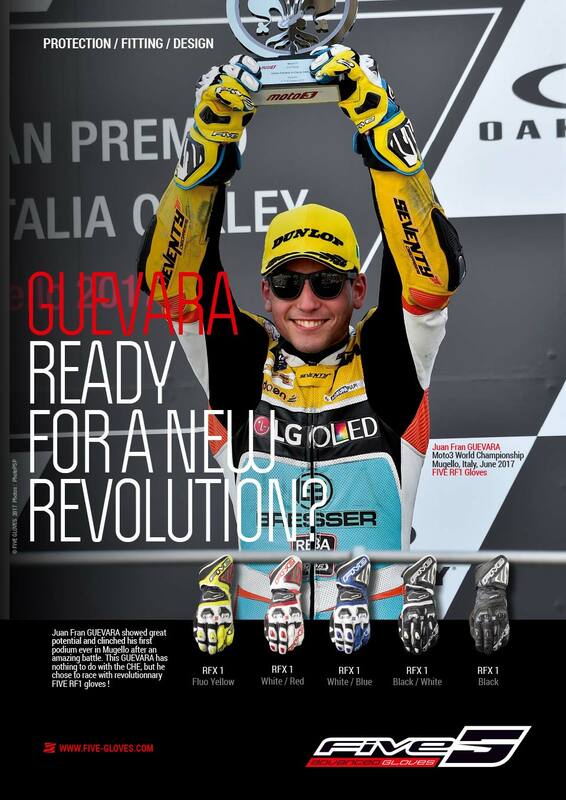 This GUEVARA has nothing to do with the CHE, but he chose to race with revolutionnary FIVE RF1 gloves ! FIVE is on French TV !